Back to Basics: More Yarn Please! 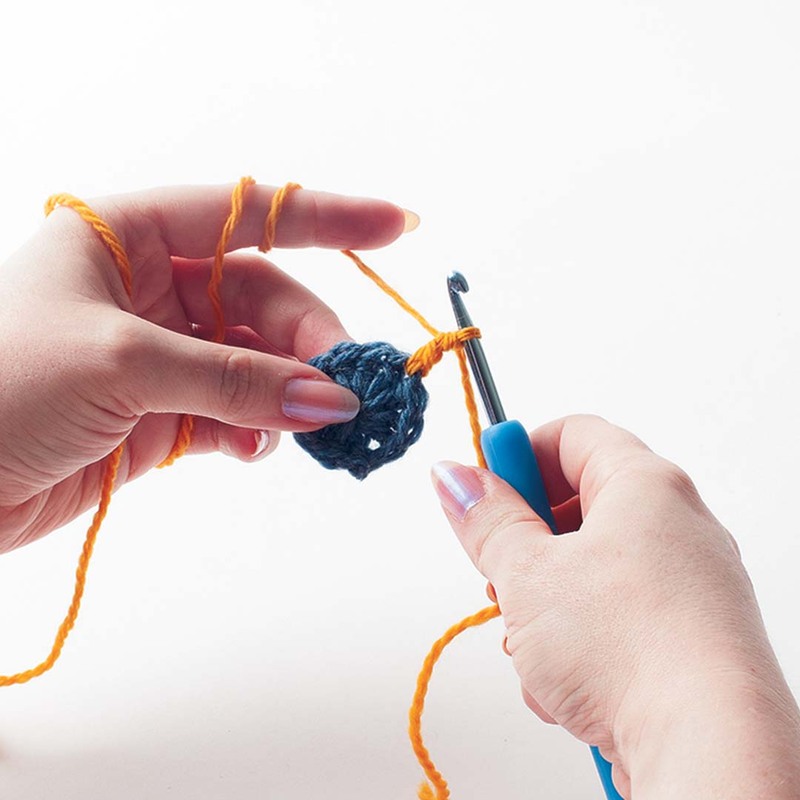 Changing to another ball of yarn, whether the same color or a new color, can be as smooth as butter if you use one of these methods. With this method, you work a stitch to the two final loops on the hook. 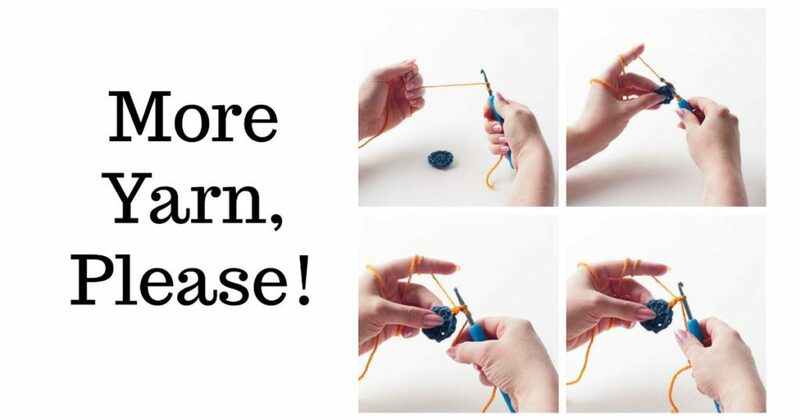 Put the new color on the hook in a yarnover, and pull through the loops. 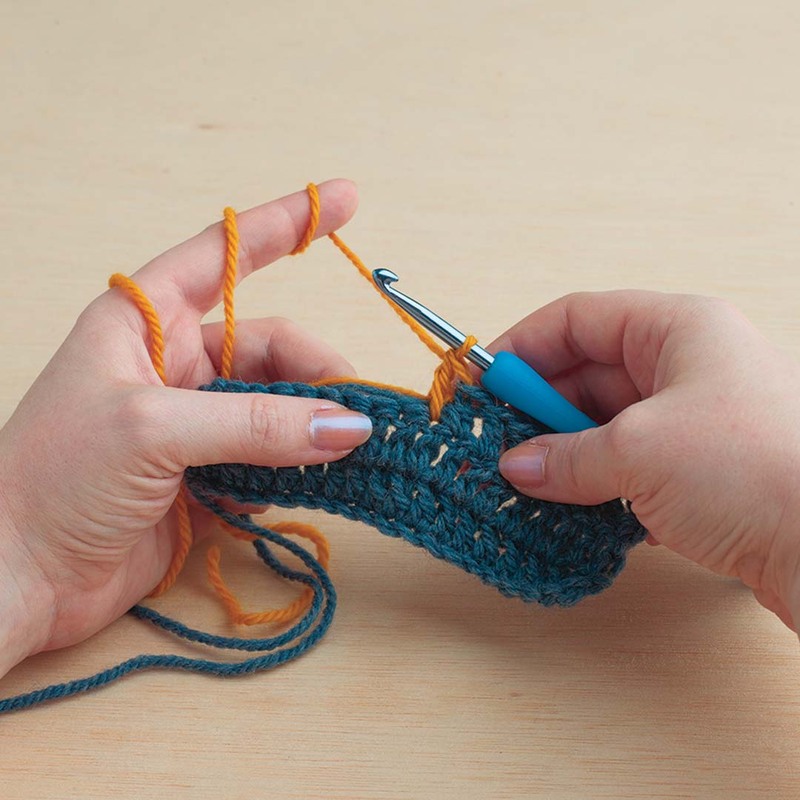 The loop of new color becomes the top of the next stitch, so there is no unsightly jog between the changing colors. (Note that for a slip stitch, your last yarnover is also your first, just after you have inserted the hook through the next stitch.) This technique creates clean, even lines for precise colorwork. This method works for joining new colors or a new ball of the same color. 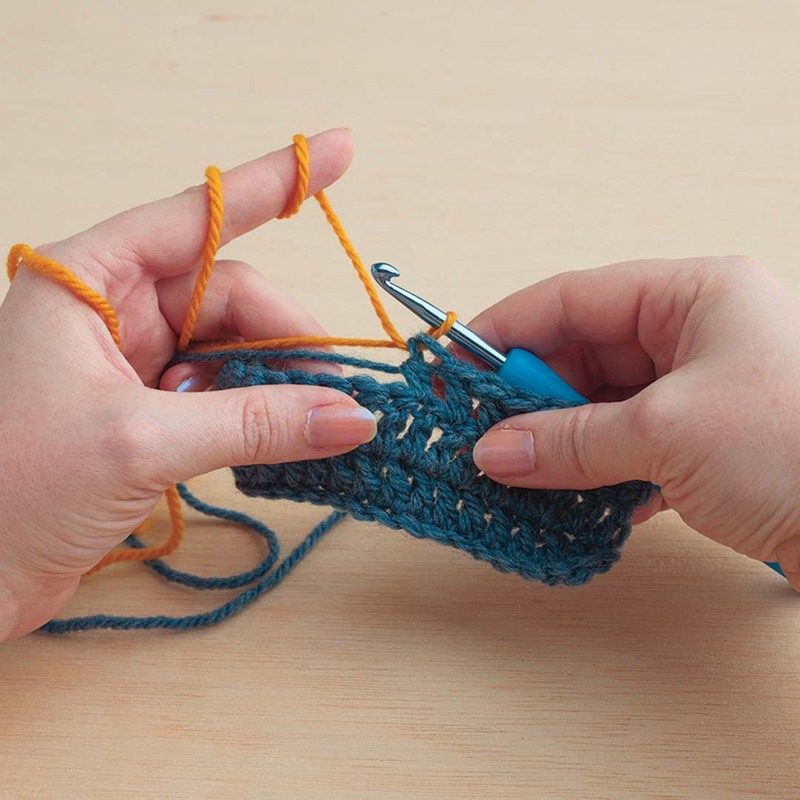 The Russian join creates a knotless join with no ends to weave in. To work this technique, you’ll need a small yarn needle. Using the working yarn, thread a few inches of the yarn end through the yarn needle. 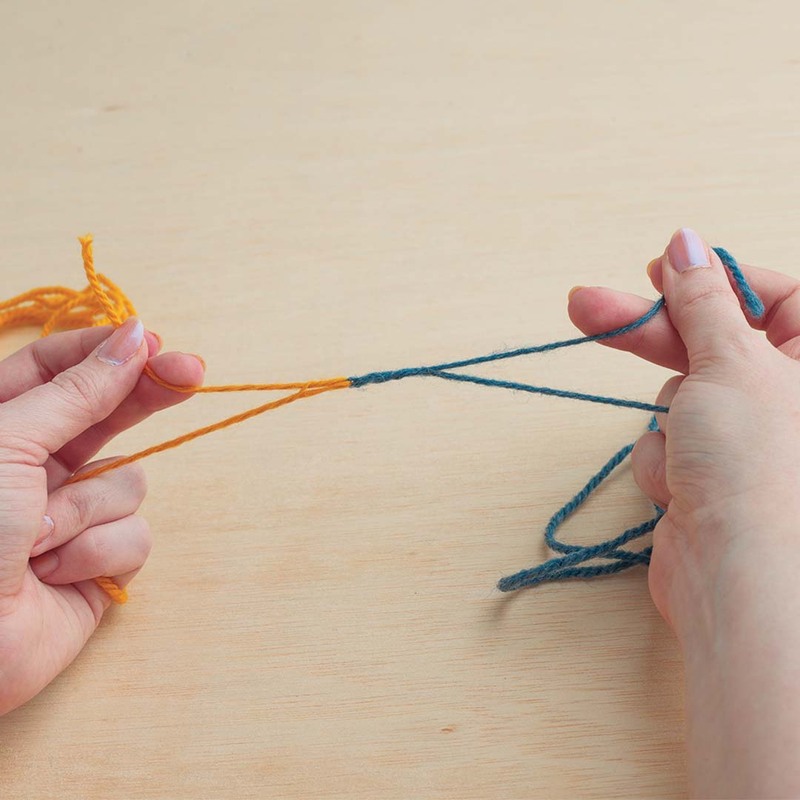 Work back into the same strand, leaving a small loop, and insert the needle through the plies of yarn and thread the yarn back through itself. Leave the loop at the end open, but pull the yarn tail all the way through the plies. Using the second ball of yarn, thread one end through the yarn needle and then put the needle through the created loop on the end of the first strand. 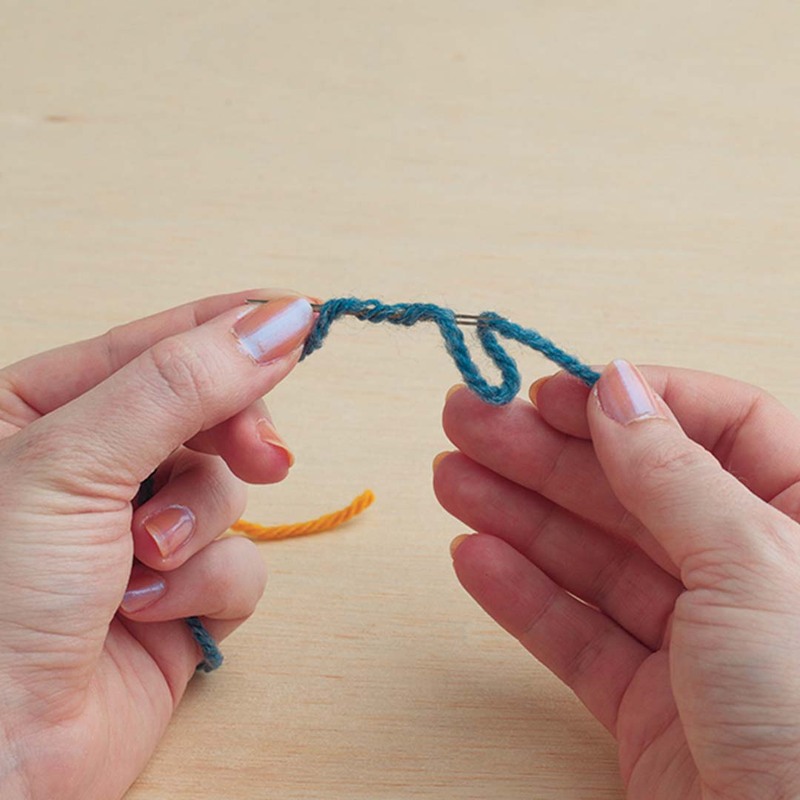 Repeat the same process as above, threading the yarn back through itself to create a loop. 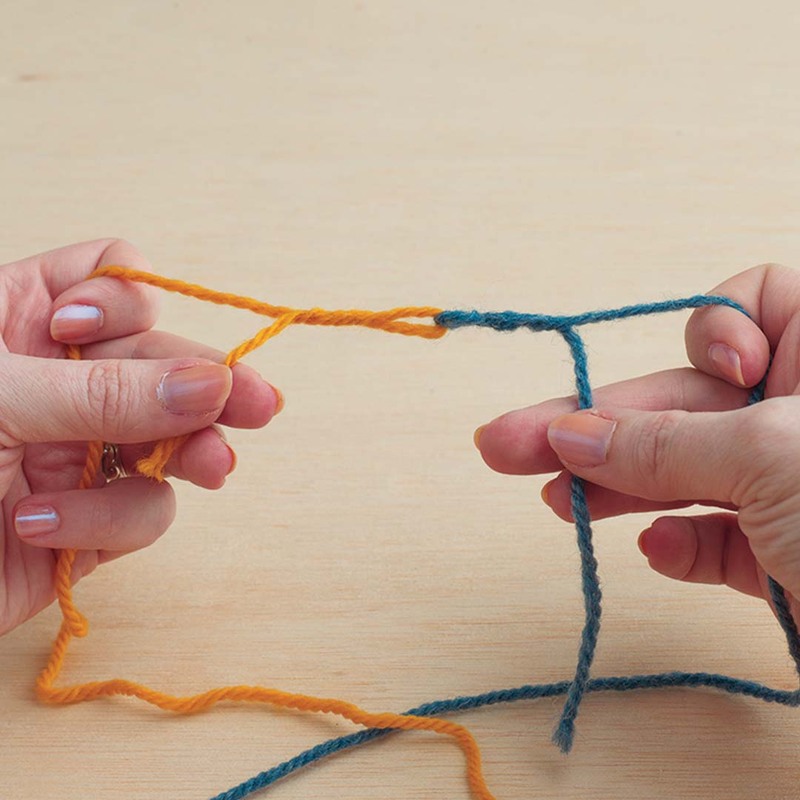 You now have two interlocking loops of yarn. 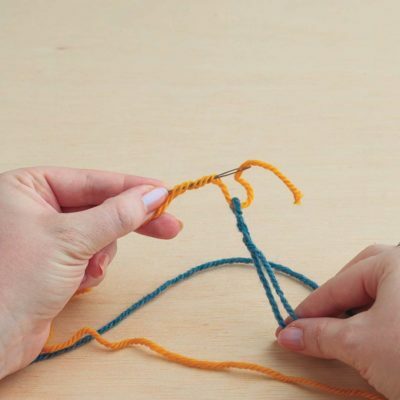 Pull the tail ends of each strand to close the loops of yarn around each other. Trim the tails, or work over them for extra security against raveling. The standing stitch, particularly useful when joining a new color in a motif, is more stable and more attractive than joining with a slip stitch and chaining up to the height of the stitch. 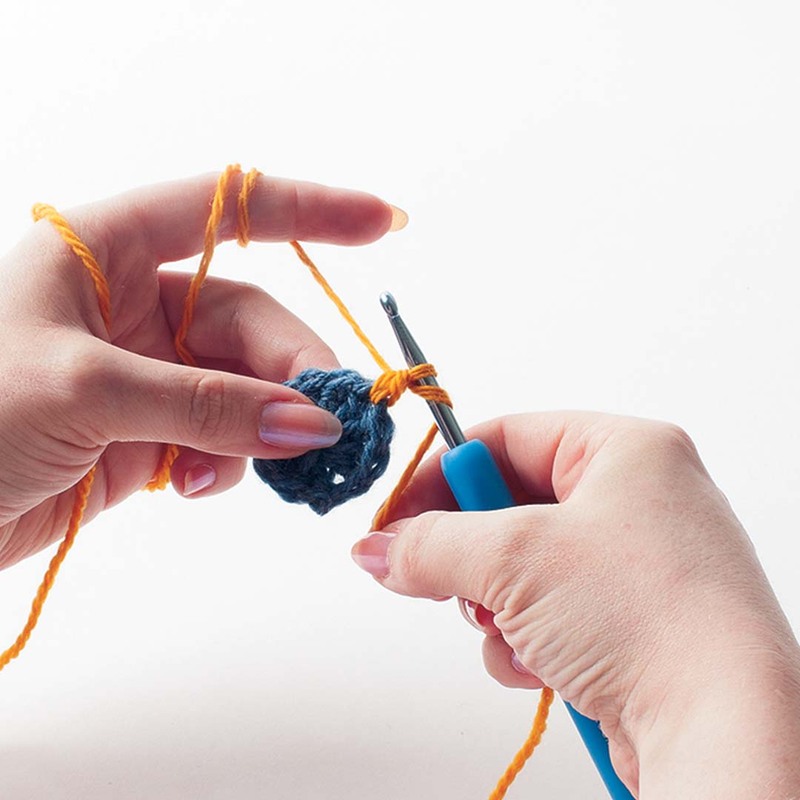 To work the stitch, hold the yarn end against the hook, and then start the stitch in midair (in fact, Doris Chan calls this an “air stitch”). Yarn over one more time than you normally would for the stitch (two here for the double crochet shown). Insert the hook into the desired place and complete the stitch as usual. If it makes you sweat to loop in midair, start with a slipknot, and then either pull out the slipknot when you’re finished or work over it. 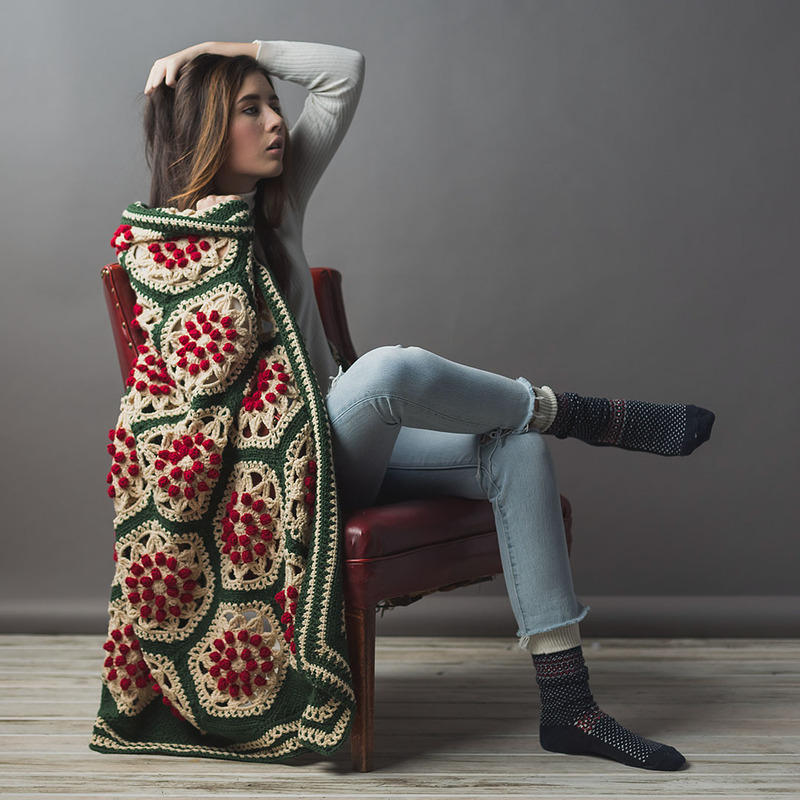 This article originally appeared in Interweave Crochet Fall 2013. Here are some of our favorite projects that use a lot of yarn! 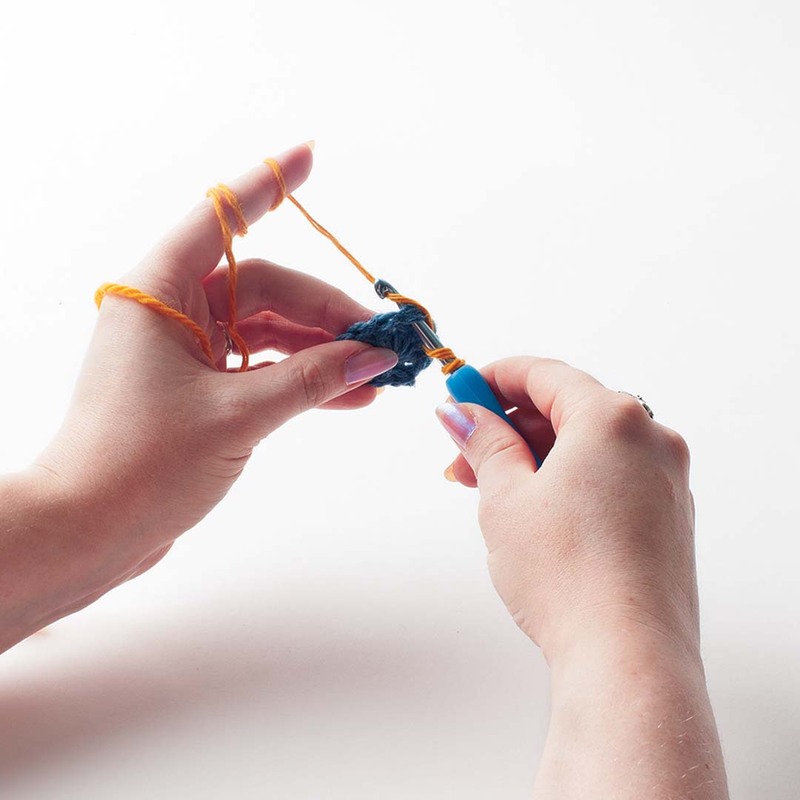 And if you’re in need of more yarn, be sure to stop by LoveKnitting (affiliate link) and get just what you need!